Family dentistry and general dentistry are the first level of defense for your dental health. 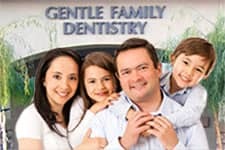 Gentle Family Dentistry is a multi-specialty dental practice focused on providing all family members with the best dental care possible. During a routine check-up, Dr. Clausen examines the overall oral health and teeth, and he diagnoses potential dental problems.